Do you shop with Amazon.com? 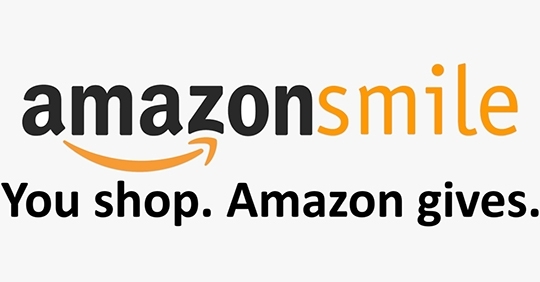 Take a minute now to choose Project Open Hand as your "Amazon Smile" charity of choice. Every time you shop on Amazon.com, 0.5% of your purchases will benefit our meals with love. This program generates thousands of dollars annually for Project Open Hand, and it takes only a couple minutes to register. Sign up now. Located at 623 Valencia Street (near 17th Street) in San Francisco, Community Thrift Store welcomes donations of clothing, household goods and other items every day from 10am to 5pm. When you take your donations to the store, you can designate Project Open Hand (code 154) as beneficiary of the sales proceeds. Your donations are tax-deductible. Please ask for a receipt at the time of donation. When you shop at Cole Hardware, you can designate Project Open Hand (account 730) as your preferred community partner. Twice a year, Project Open Hand will receive a gift certificate from Cole Hardware worth 10% of designated purchases. Cole Hardware stores are at 956 Cole Street at Parnassus, 3312 Mission Street at 29th, and 70 4th Street near Market Street in San Francisco. You can now donate all or part of the proceeds from an item you sell online on eBay to Project Open Hand! Here’s how it works: while listing your item on eBay, select Project Open Hand as the non-profit which will get proceeds from the sale of your item. Then register with MissionFish, which handles donations to non-profits for eBay, if you haven’t already done so (this is a one-time step). Finally, select a percentage of the final sale to donate to Project Open Hand, from 10% to 100%, and complete the item listing on eBay. When you select 100%, eBay donates the insertion and final value fees to Project Open Hand as well. The item will appear on eBay with the eBay Giving Works icon, and Project Open Hand and your donation percentage will also appear in the item description. After the listing ends and the buyer pays you for the item, MissionFish will collect the percentage you donated to Project Open Hand, and will hold your funds in escrow until the refund period expires. Finally, MissionFish will pay Project Open Hand and provide you with a tax-deductible receipt for your donation. To list an item on eBay, go to www.ebay.com and sign in under your seller username (or create one if you don’t have one). Go to eScrip’s website at www.escrip.com. Click on “Sign Up” and identify Project Open Hand as the group you would like your purchases to benefit. Register your Macy’s card as prompted. 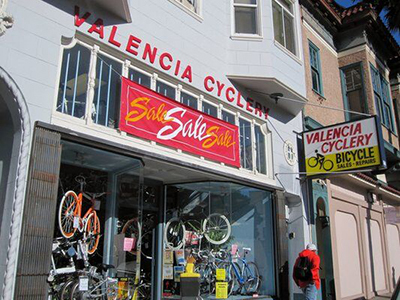 Every June, Valencia Cyclery hosts a 4-day sale that benefits Project Open Hand. It’s a great opportunity to stock up on your bicycling needs with incredible bargains. 10% of sales is donated back to POH. Previous benefit sales have raised more than $130,000 in donations for POH! 1077 Valencia Street, San Francisco. Project Open Hand has relationships with established community merchants who give back a percentage of sales to Project Open Hand. If you would like to be a Community Partner, please contact Helene Sims, Corporate Relations and Events Manager @ [email protected].